At our JET Mid-Year Seminar one year, I attended a lecture on the effects of culture shock and how to counter them. Unfortunately, the end result was that I left the lecture more upset and missing home than I had been on arrival, but some good did come of it. We were made to write a list of the pros and cons about being in Japan and the good and bad things. I have a list of the bad, of course, but now that I'm back in Canada, that's all rose-coloured glasses, and I tend to think more about the great things back in Japan that I miss. I thought I might share a few with you. 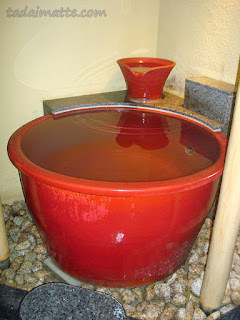 Onsen - This is the number one answer. Of all experiences that can be replicated or substituted for in Toronto, a good hot spring is not one of them. I've tried a couple of (expensive) water spas, but is isn't even close to being the same thing as laying in a giant blue pool of steaming water in January, overlooking the city. Or, for that matter, breathing the scent of oranges and hinoki as you lay on a marble platform with water coursing all around you. There is no substitute here. None. Kochakaden - There is nothing more I can say on this topic that will not make me sound like a freak. Speciality Foods - Yes, there is plenty of excellent sushi to be had here if you are willing to pay, and good homestyle fare is offered at places like Tokyo Grill, Tokyo Kitchen and Manpuku (just for a small selection! 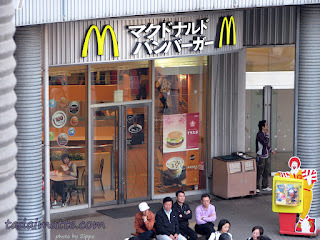 ), but what you will never find outside of Japan is the regional and speciality foods, and - aside from Okonomi House and our few ramen shops - it's unlikely we will see many more "do one thing, and do it right"-type restaurants. As much as I hope for a CoCo Ichibanya here someday, I don't see it coming further east than California any time soon. And you may as well just give up hope of finding Osaka-style dry curry, hayashi rice, green tea and mochi parfaits, doria or anything of that sort! These can be emulated in a Western kitchen, but they're never the same as they were in Japan. Kaiten-zushi - Conveyor belt sushi. I love it, and its gimmick is that it's cheap. But wait! 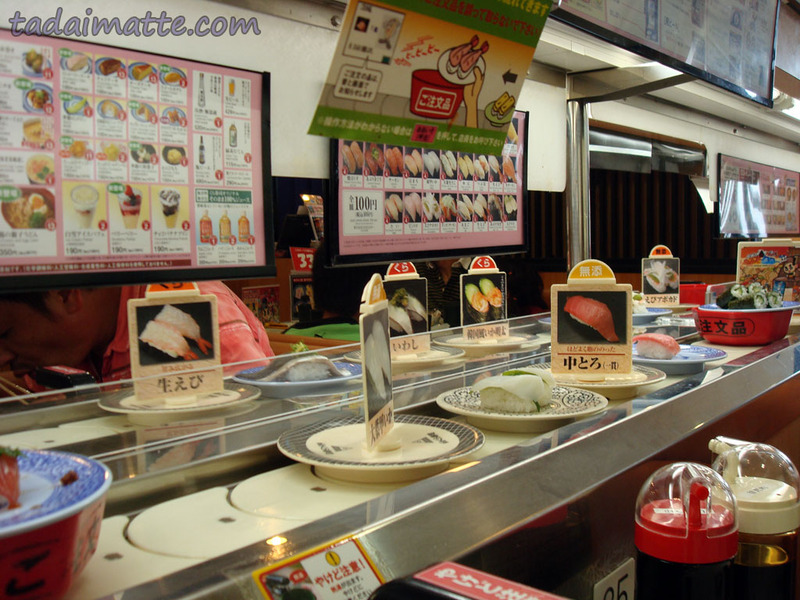 Don't we have a place here in Toronto that does kaiten-zushi, you might ask? We sure do. Their selection is terrible and the prices astronomical. So much for that. Osakan food - My students loved to ask whether I liked Japanese food, and what my favourite Japanese food was. The answer of okonomiyaki always cracked them up! Hey, when in Rome, right? Japanese bathrooms - There's just something about them! Shibuya Scramble Crossing - This lively pedestrian scramble is the biggest in the world and a fantastic place for people-watching. 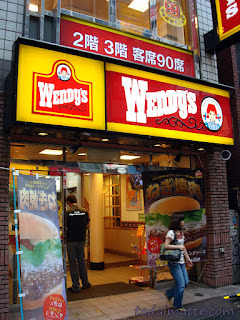 I went there every time I was in Tokyo, and even wrote a story set there. Shibuya at 7 A.M. - Long story. Odaiba - My favourite place in the world. In fact, I'm shocked that I haven't written 20 posts on Odaiba already. Then again...I've written a bunch of travel articles on Odaiba for JapanTourist, so I suppose I've been sending all my energy that way. CoCo Ichiban Curry - Attempted but never perfected. Still working on the recipe! Japanese outlets of American companies - Subway's menu here in Canada is pretty much garbage compared to Subway Japan. McDonalds? Yes. I don't eat McDonalds at home, but the lure of Katsu Burger was too great to resist. And I could talk all day about Krispy Kreme's fantastic seasonal doughnuts! Whether it's the change for the Japanese palette or the change in the customer service to suit the Japanese way, it was rare that I visited a U.S.-originated eatery and didn't come away with the impression that it was better. There was only one restaurant I frequented when I was homesick because it was always exactly the same as at home - good ol' Wendy's. Uniqlo - This is my favourite clothing store and one I highly recommend if you are fortunate enough to live in Japan, New York, China, France, Hong Kong, Korea, Malaysia, Russia, Singapore, Taiwan, Thailand or the UK. Every couple of months I Google "Uniqlo Canada," but never have any luck. Tragic. 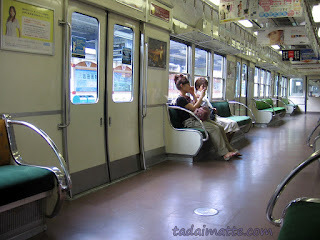 Japanese trains - The TTC is not the same thing. It's just not.